After an afternoon tea with a twist? 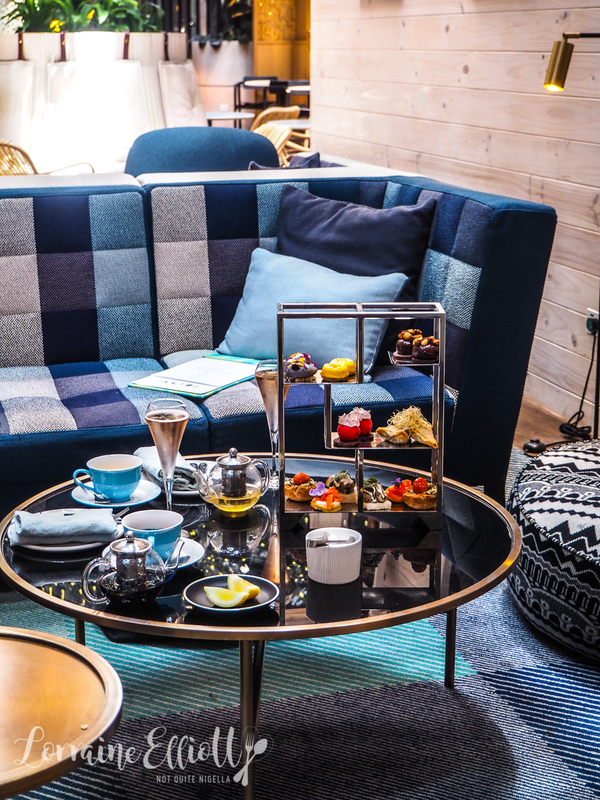 Try Alibi's plant based afternoon tea at the recently refurbished Ovolo Hotel in Woolloomooloo. 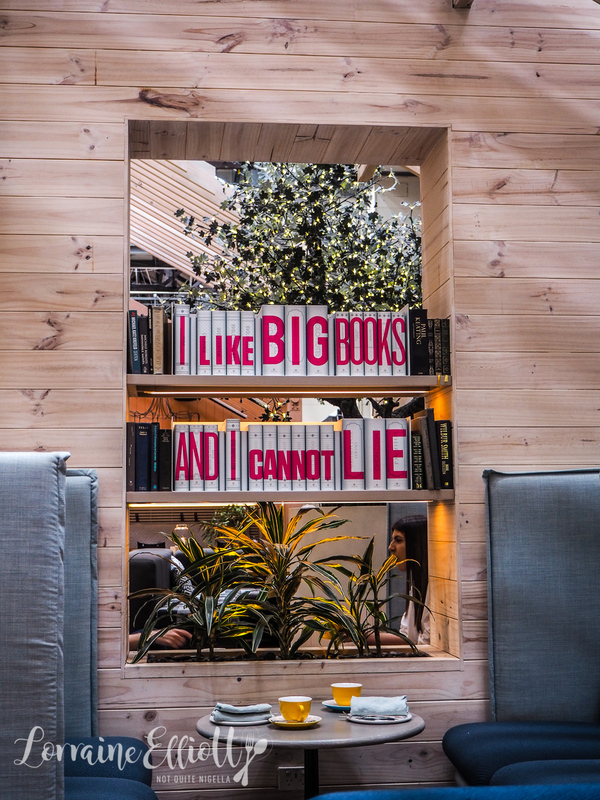 It comes with a glass of sparkling rose and unlimited tea or coffee and a selection of vegan sweet and savoury dishes. 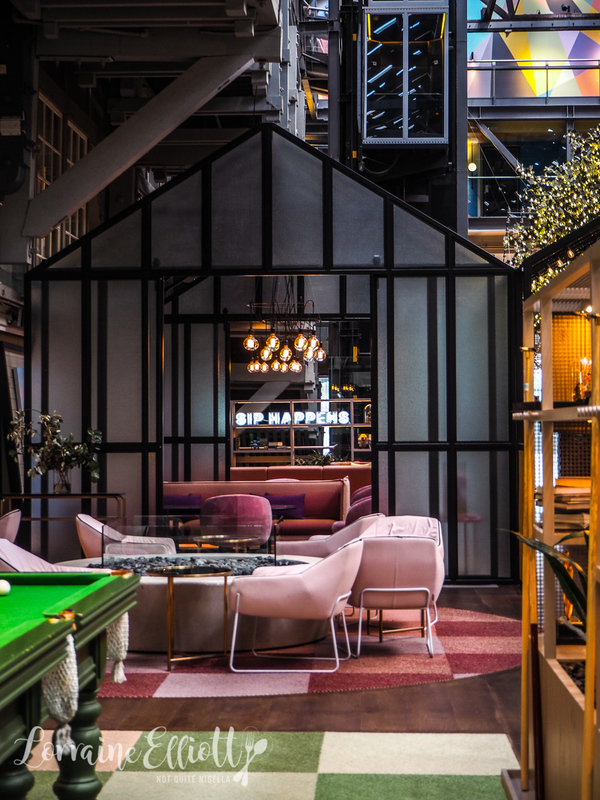 Ivy and I arrive one Sunday afternoon to the Ovolo Hotel and walk up the stairs to Alibi. I've never seen Alibi during the day but the refurbishment suits it well. The room is more colourful and grouped into colour pockets. The price of afternoon tea here depends on the day and desire. If you book it for Wednesday – Friday, 12pm-4pm it starts at $65 per person but on weekends it is $75 and they recommend pre-booking to ensure availability. You can also upgrade it to include a bottle of Perrier Jouët or have free flowing Perrier-Jouët champagne. We're shown to a section that is all about blues (facing a section all about yellow). 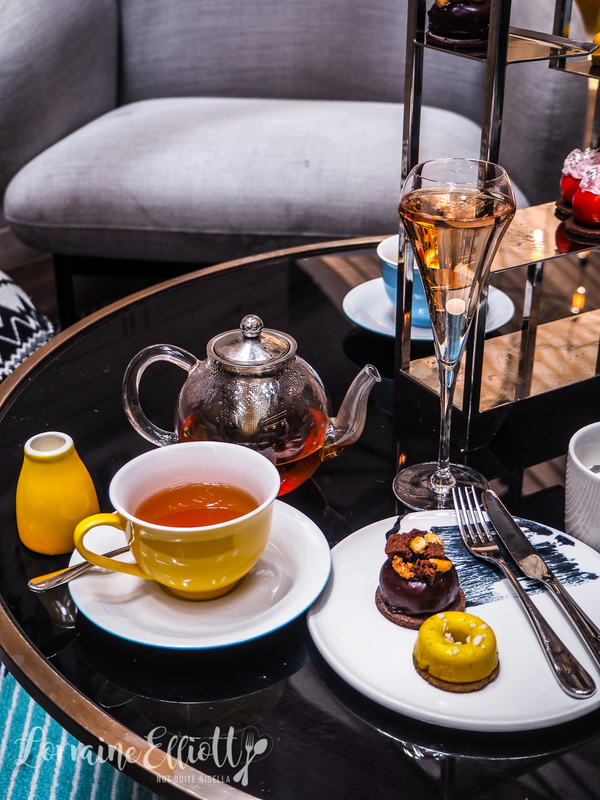 The afternoon tea comes with four savoury bites, four sweet bites, a glass of Perrier-Jouët "Blason" Brut Rosé and bottomless cups of Rabbit Hole tea or coffee. The tea menu is particularly interesting and we both prefer tea over coffee so we go with that. The champagne arrives first and we clink our champagne flutes together and toast to relaxing Sundays. 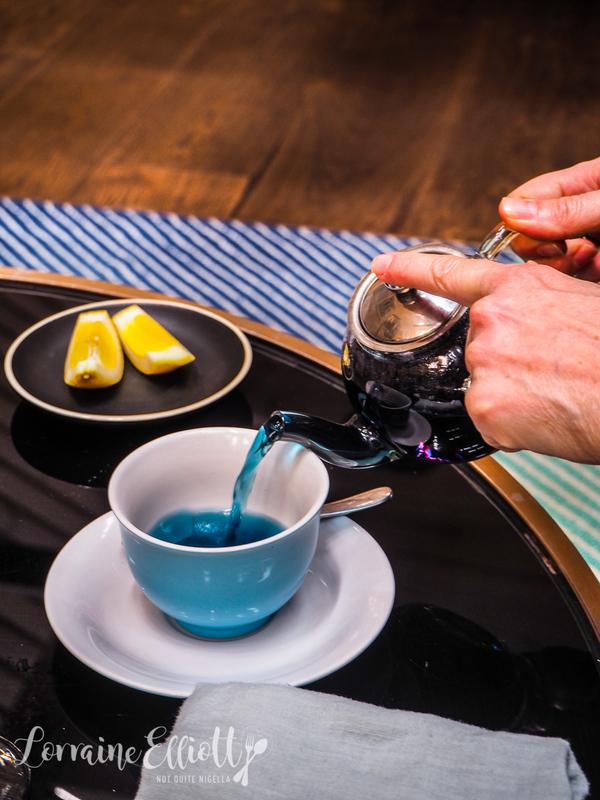 The tea arrives next and I've ordered the Lime Pie tea which is a white tea with lime and coconut tea while Ivy tries the Vivid Colour Changing tea that is said to ease stress and ease inflammation (aka a big night out ;) ). Our tea stand arrives and they explain all of the goodies. We start with the savouries. I try a filo pillow filled with cashew cheese and sauteed spinach that is served warm and topped with alfalfa. Then I move into the flaky baby quiche with plant based cream cheese and a roasted cherry tomato on top. Before we start on the sweets we try another two types of tea. I have the berry bomb black tea to which I add milk and sugar while Ivy has a Ginger Snap tea with ginger, cinnamon and honeybush marry. Sweets time! My favourite sweet is the mixed berry cheesecake with a glossy glacage coating and a strawberry compote filling. Although I intend to just try a mouthful it's gone in a flash. I also like the lemon meringue ring on a sable biscuit. The chocolate cream round is dark and tangy with mango and passionfruit and is for those that love their dark chocolate fruity and full flavoured. And the black sesame cream with raspberry rose is intriguing and unique and adorned with silver leaf on top. And while we busy relaxing on the couches we try a third tea. The Rabbit Hole Chai for me and a Refresh-a-mint for Ivy with peppermint and pineapple. This mint tea is a surprise favourite for both of us. Ivy slightly sweetens it with a sugar cube and we both love the flavours of mint and pineapple in it. I also wish all Sundays were this relaxing. 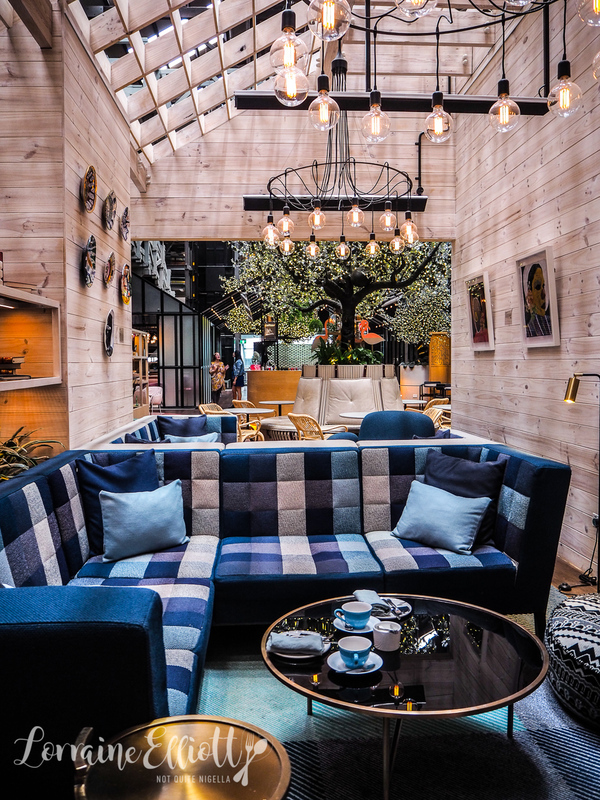 So tell me Dear Reader, what do you think of this vegan afternoon tea? 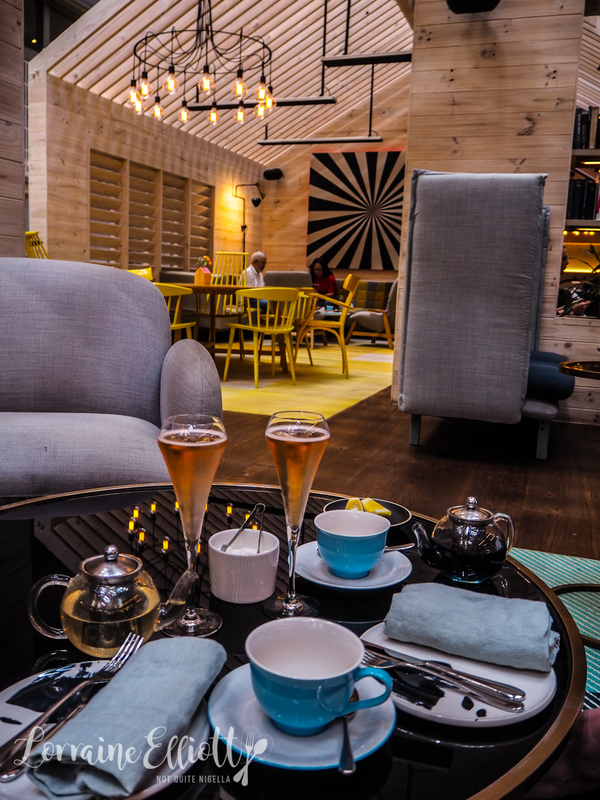 Which appeals to you more: bottomless tea, coffee or champagne? NQN and Ivy were guests of Alibi but all opinions remain her own. restaurantLadies & Gentlemen, An Afternoon Tea for Both Genders! 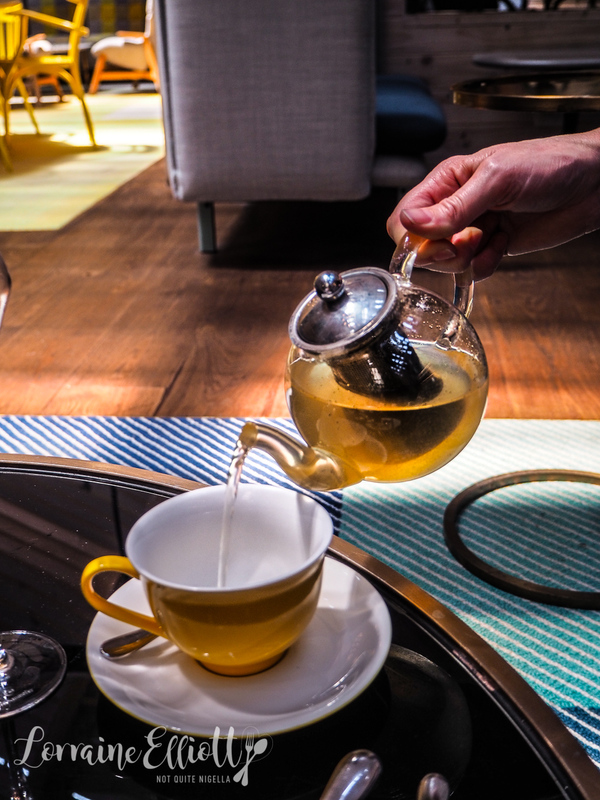 restaurantAfternoon Tea at Passiontree Velvet, North Ryde & Win an Afternoon Tea for Two! restaurant Ladies & Gentlemen, An Afternoon Tea for Both Genders! 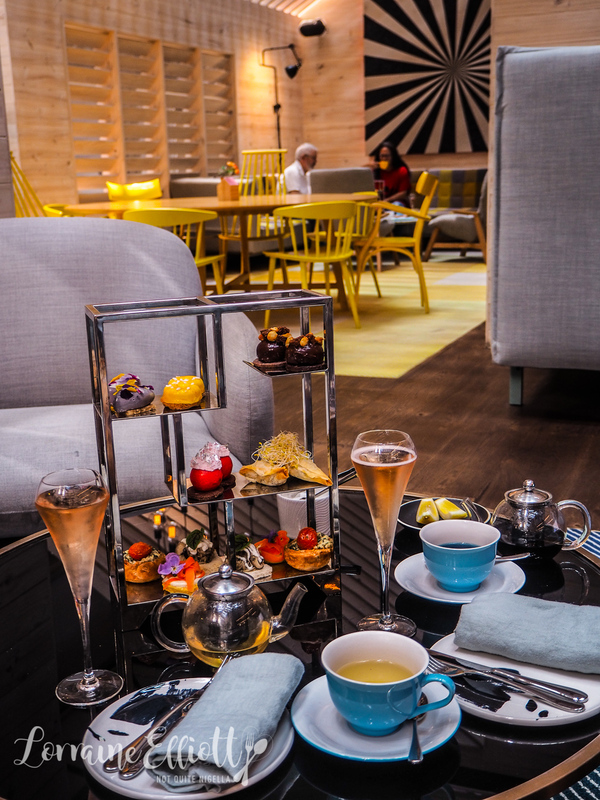 restaurant Afternoon Tea at Passiontree Velvet, North Ryde & Win an Afternoon Tea for Two!